but in my family I have a beautiful princess. to see you smile and be truly happy. I will talk to you about life and I'll wish the best for you. Happy Birthday Princess of my Heart free card. 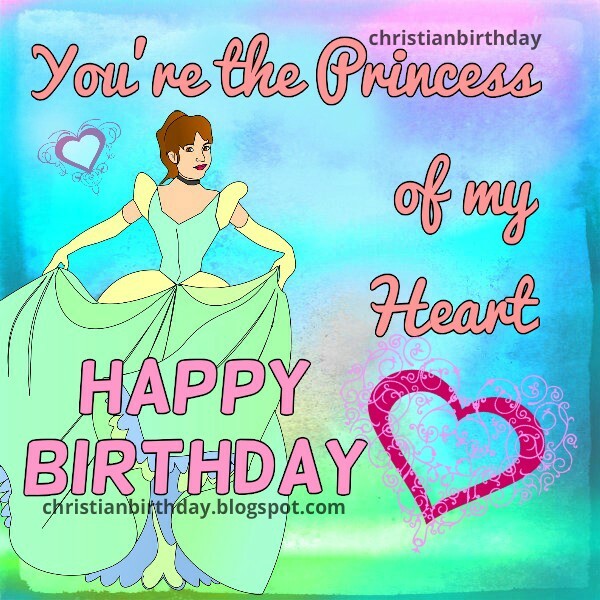 Free christian image for my daughter, girl, princess, woman on her birthday.